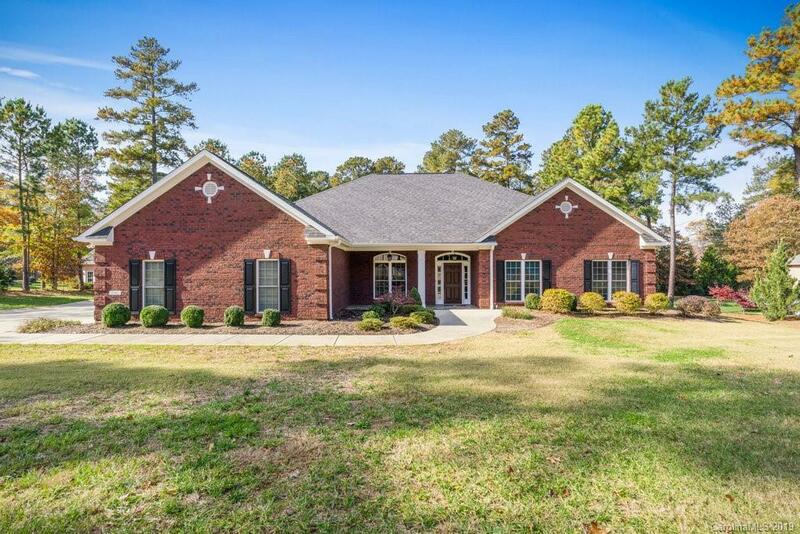 Gorgeous Custom Full Brick Home on over an acre of land and handicap accessible! A quaint country feel but minutes to everything! It's the best of both worlds! Open Floor Plan. Chef's Dream Kitchen with Custom Cabinetry, Breakfast Bar, removable Island, Hardwoods, Granite, Pot Filler and double Pantry. Beautiful stacked stone See-Thru Fireplace between the Gourmet Kitchen and Great Room. Stunning Dining Room with tray ceiling and accent lighting. Master Retreat with luxurious Bath, large Walk-in Shower and heated towel rack. His and Her Walk-in Closet with second Laundry Area. Upper Level Bonus Room/4th Bedroom with Full Bath and Closet. Elevator. Walk-in attic storage. You will love entertaining your guests on the Covered Veranda with a Stone Fireplace and Outdoor Kitchen overlooking the wooded lot with lots of privacy. Fenced Yard. 4 Car Garage with Epoxy Flooring. Front Load Garage is heated and cooled with Workshop Area. No HOA Fees. Minutes to Lake Norman. This is a must see!